Check out the attention to detail! 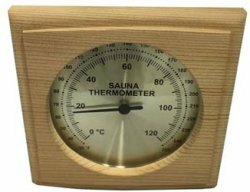 This hand crafted wooden sauna thermometer is manufactured by Northern Lights Cedar Products, a world leader in cedar products for the outdoor lifestyles. This fun thermometer is a hit in any sauna! A thermometer is a must in any sauna. Controlling the sauna temperature is important for comfort and safety. All saunas should have a thermometer. The placement of the thermometer will affect its reading. Higher up will read hotter. We recommend the thermometer be placed at head level relative to seating height. This unit reads Fahrenheit & Celsius and has a large 3" dial. 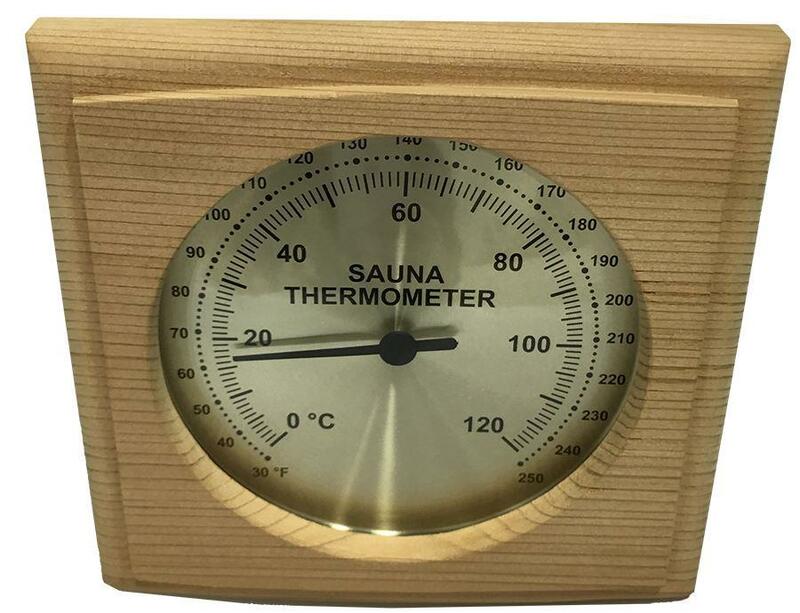 Even if your sauna has a digital controller it is very important to also have a manual thermometer as most digital controllers are outside the sauna and there readings can be variable.